The juvenile T. rex at Burpee Museum is on her way to Japan today to be featured at the World Dino Expo in Osaka, Japan. Don&apos;t worry, most of Jane is still here in Rockford! Burpee Museum Executive Director Maureen Mall and Director of Science and Exhibits Scott Williams are transporting Jane&apos;s upper left jaw bone (called the maxilla) to the expo. From July 13-August 25, it will be on display and studied during the exhibition. Spectators will even be able to see what Jane really looks like since a full cast will be on display along with her real jaw bone. I don&apos;t know about you, but seeing Jane is always the highlight of my trip whenever I go to Burpee. It&apos;s exciting that we get to share one of Rockford&apos;s biggest attractions with people halfway around the world! When I went to the grand opening of the new Homer exhibit, one of the speakers mentioned that Burpee is not just an ordinary natural history museum. 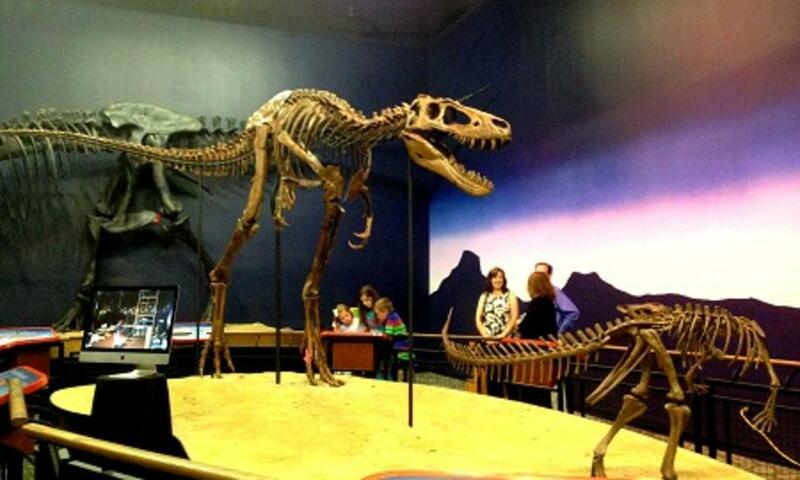 The museum is known worldwide because of the amazing exhibits (especially Jane and Homer!) and the digs the staff continues to do out west...so this trip to Japan definitely shows the worldwide popularity! Staff from Burpee is actually headed out ot Ekalaka, Montana for another dig in just a couple weeks. They will be there from July 21-August 3 on two one-week excursions. Good news for any dino-lovers out there...they are still accepting applications to go! Check out their website if you&apos;re interested! Burpee Museum of Natural History is located at 737 North Main Street in Rockford and is open daily from 10:00am-5:00pm.